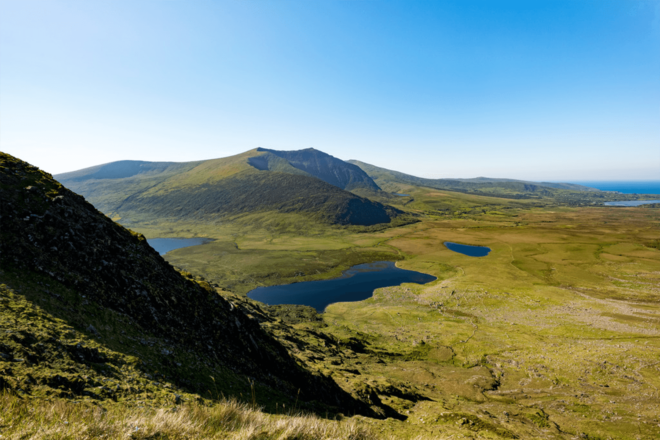 Set in the stunning mountains of the Dingle Peninsula the Conor Pass offers spectacular views. Ireland often conjures up images of sheep grazing on rolling hills, rugged coastlines being pummelled with waves, grand castles perched on riverbanks and sheer cliffs under moody skies. 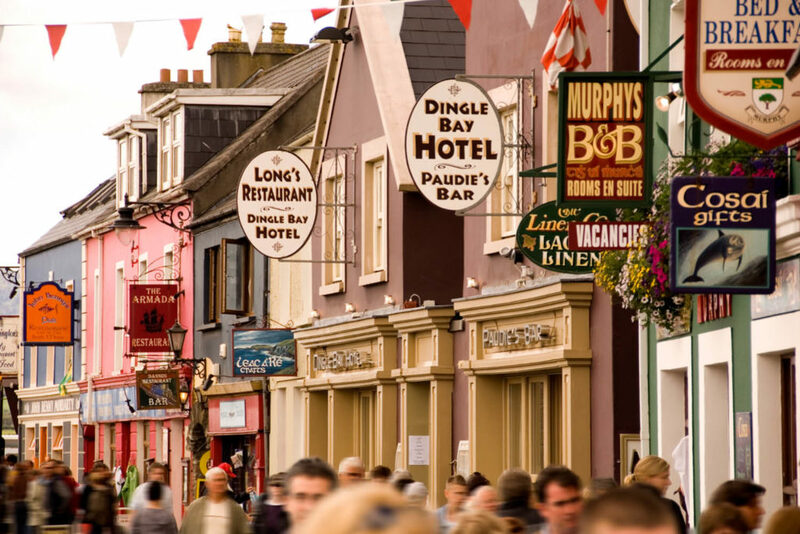 Dingle on the Dingle Peninsula, once dubbed ‘the most beautiful place on Earth’ by National Geographic. 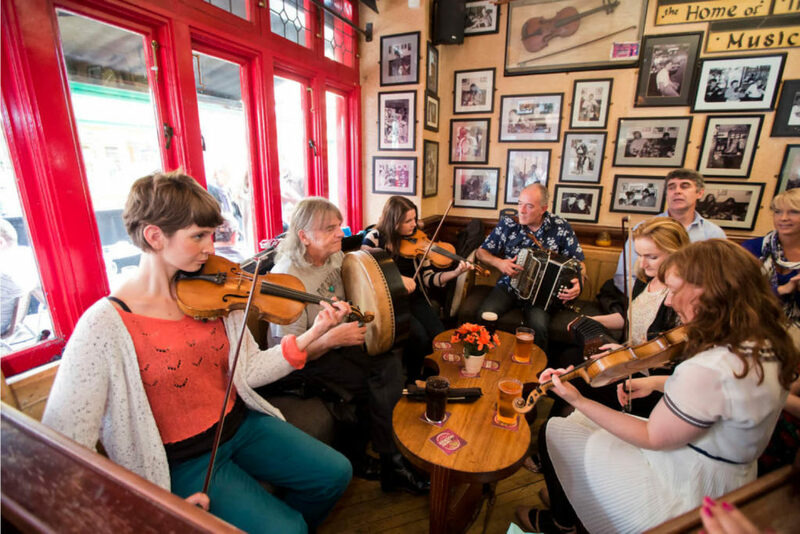 If you prefer your music with a side of fun, head to any pub with a traditional Irish band playing instruments like the fiddle, uilleann pipes, and the Bodhrán. You’ll likely find yourself clapping along or jigging with the locals; it’s infectious! The Irish are renowned for their love of a good yarn, their incredible hospitality, and the fact that they don’t take themselves too seriously. 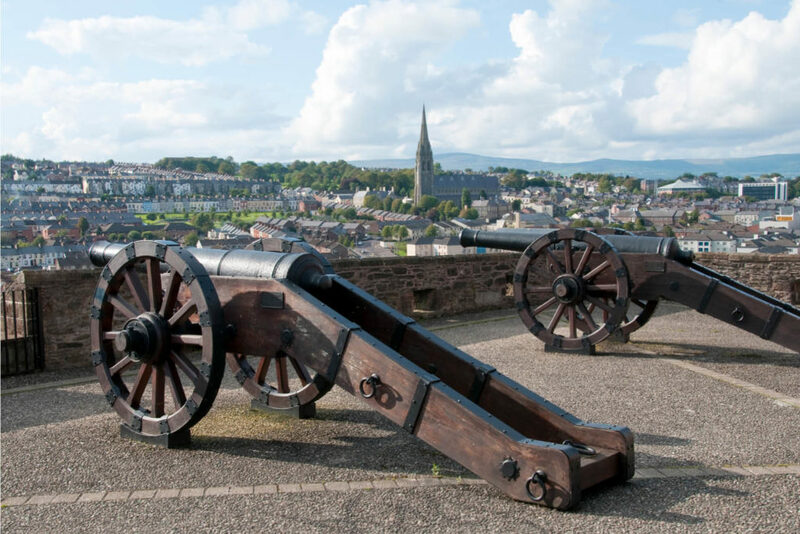 Derry Londonderry has perfectly preserved 17th-century city walls, with bastions offering wide views with Derry Londonderry’s historic streets on one side, and Donegal hills on the other. Belfast is known as the Harland and Wolff Drawing Offices as well as the Hamilton Graving Dock – the very place where Titanic was designed, built and launched in 1912. Forget the stereotypes; there is so much more to Ireland than the colour green and a dark, bold stout. Once you’ve set eyes on its wild, jaw-dropping landscapes, experienced its buzzing urban hubs, tasted the decadent food, learnt about its awe-inspiring history, and met its friendly locals, you’ll wonder why you didn’t make it here sooner. Writes Megan Arkinstall. 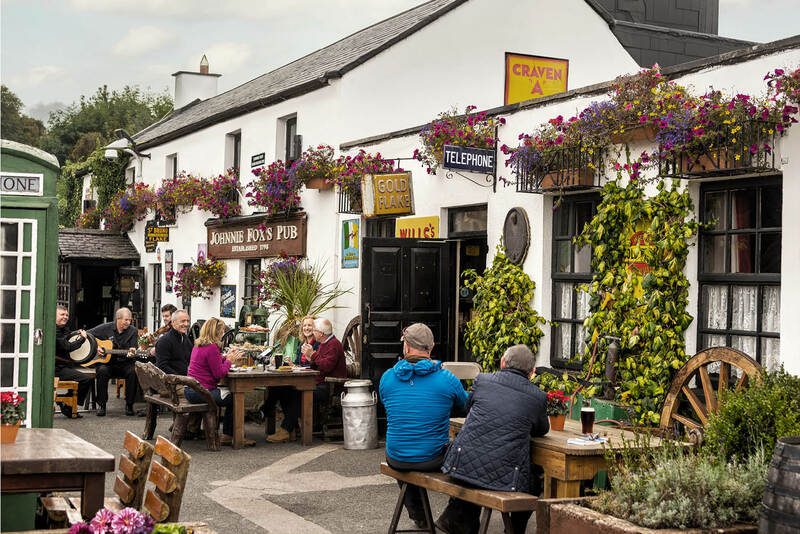 Ireland consistently appears on global lists as one of the friendliest places on Earth; it’s there as soon as you set foot on the island, in the warm welcome visitors receive – known in Gaelic as Céad míle fáilte, ‘a hundred thousand welcomes’ – and the way the locals can’t wait to show off the unique appeal of their island. The Irish are renowned for their love of a good yarn, their incredible hospitality, and the fact that they don’t take themselves too seriously. For travellers that means you will never sit alone in a pub for long, you will never get lost and you will always have a wealth of recommendations from locals of great places to visit and amazing things to see. 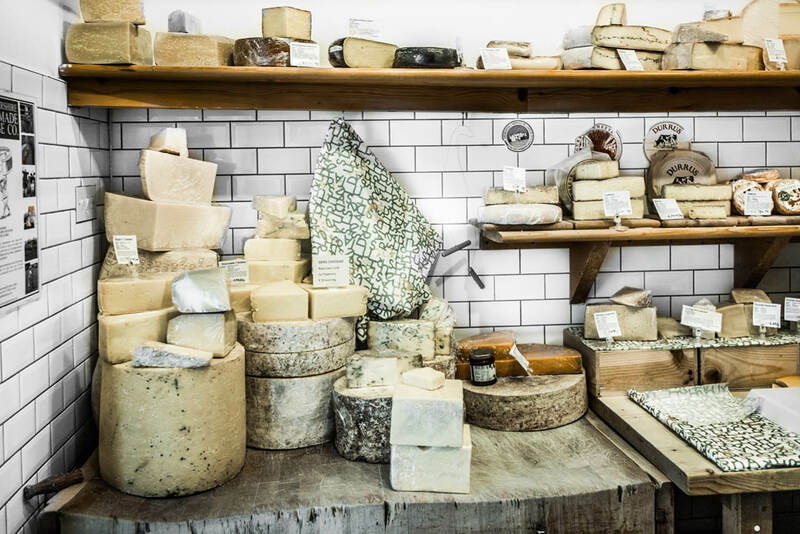 Visitors are spoilt for choice when it comes to food experiences: fine dining at Michelin-starred restaurants; redefined pub grub at sleek gastropubs; and bustling farmers’ markets with bounties of fresh produce. There is no argument that the Irish have homely, hearty food covered: Irish stew, boxty, colcannon, anyone? But there’s a new movement in Irish cuisine (some might call it a food revolution) that’s innovative and sophisticated, making the most of the amazing produce and artisanal ingredients found across the island, from premium lamb and beef to the freshest of fresh seafood to locally produced cheeses. Visitors are spoilt for choice when it comes to food experiences: fine dining at Michelin-starred restaurants; redefined pub grub at sleek gastropubs; bustling farmers’ markets with bounties of fresh produce; and immersion in burgeoning foodie destinations like Cork and Belfast – the latter of which has really shone bright when it comes to Michelin stars. Fine diners can delight in award-winning menus at Belfast’s OX, a sophisticated restaurant overlooking the River Lagan, and Eipic, run by Irish Chef of the Year Danni Barry; or soak up the industrial cool vibe and feel-good food at Home Restaurant, which was awarded a Michelin Bib Gourmand. Every corner of this land is marked with an ancient history, which astoundingly dates back further than the Egyptian pyramids. Stone Age tombs, medieval castles, monastery ruins, Viking burials, storied battlefields, ancient walled towns, and historic country mansions are just some of the reminders of Ireland’s intriguing past. You can get up close to more than 5000 years’ worth of history by picking your way around Ireland’s Ancient East: stop off in Waterford, the oldest city in Ireland having been founded by Vikings in 914, and don’t even think of missing out on Newgrange, a pre-historic burial tomb famous for its magical Winter Solstice illuminations, that’s remarkably older the pyramids and Stonehenge. 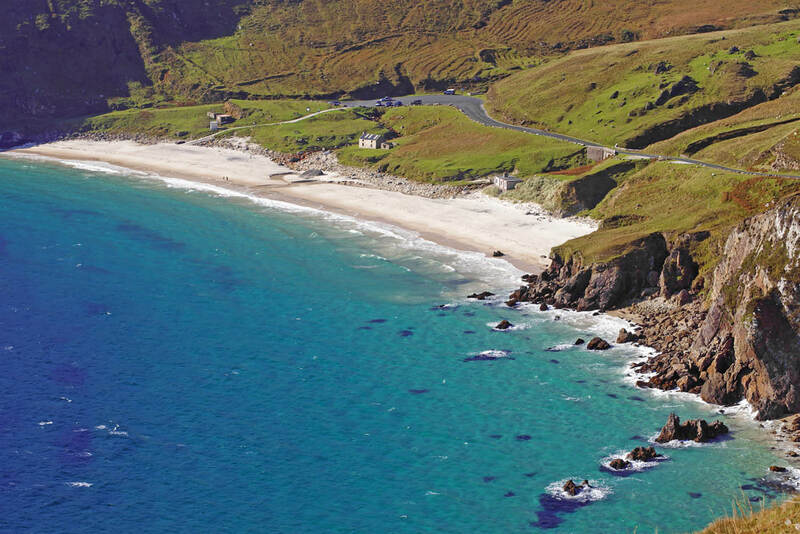 Ireland often conjures up images of sheep grazing on rolling hills, rugged coastlines being pummelled with waves, grand castles perched on riverbanks and sheer cliffs under moody skies… and it’s all reality. Ireland’s phenomenal natural landscape is a haven for exploration; grab a car and head out onto the Wild Atlantic Way, a stunning route that takes you through quaint coastal villages, past the UNESCO Global Geopark of The Burren in County Clare, and where you can stand on the edge of forever at the Cliffs of Moher (sheer 214-metre cliffs plunging to the Atlantic Ocean below). Or head further north to follow the unforgettable Causeway Coastal Route that stretches from vibrant Belfast city to its namesake, the UNESCO World Heritage listed natural phenomenon, the Giant’s Causeway, ending in Derry~Londonderry. Just try not to take part once the Irish pub once the music starts! For its small size, Ireland packs a punch when it comes to literature – think James Joyce, W.B. Yeats, Seamus Heaney. 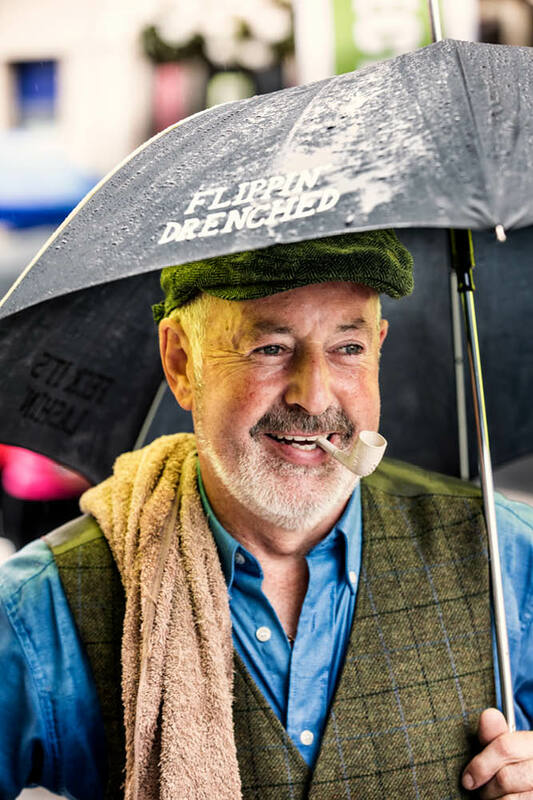 It’s the reason that Dublin, a city that has produced four Nobel Laureates, was named a UNESCO City of Literature in 2010 and is home to so many literary-inspired activities, from guided literary pub crawls to an abundance of festivals. And the same thing could easily be said of music: U2, Van Morrison, Thin Lizzy, Snow Patrol… need we go on? If you prefer your music with a side of fun, head to any pub with a traditional Irish band playing instruments like the fiddle, uilleann pipes, and the Bodhrán. You’ll likely find yourself clapping along or jigging with the locals; it’s infectious! 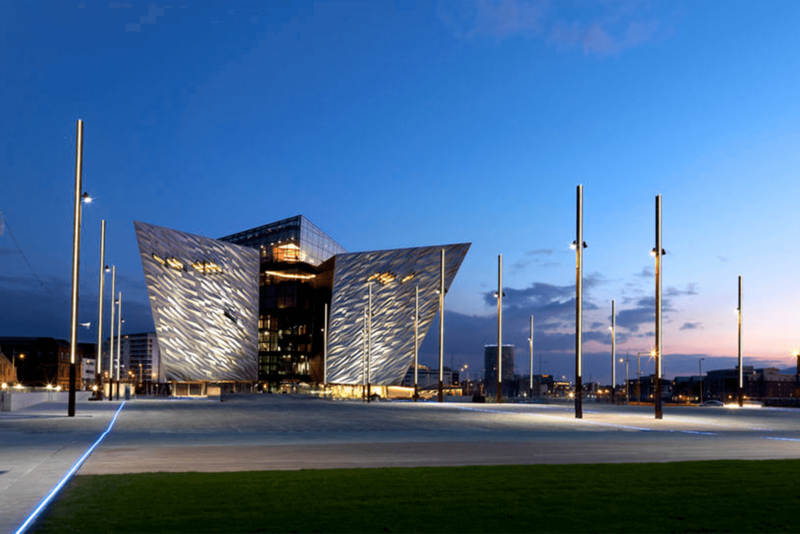 From Dublin’s buzzing cosmopolitan culture to bohemian Galway with its laidback vibe, Belfast’s hip dining scene and Titanic history to the ancient fortification of Derry~Londonderry, Ireland’s cities are a brilliant mix of people, places and traditions. Away from the city lights, Ireland’s villages and towns are charm personified, such as candy-coloured Cobh (pronounced Cove) with its glittering harbour; 13th-century Adare, home to thatched Tudor cottages and prestigious golf courses; and the sweet town of Dingle on the Dingle Peninsula, once dubbed ‘the most beautiful place on Earth’ by National Geographic.